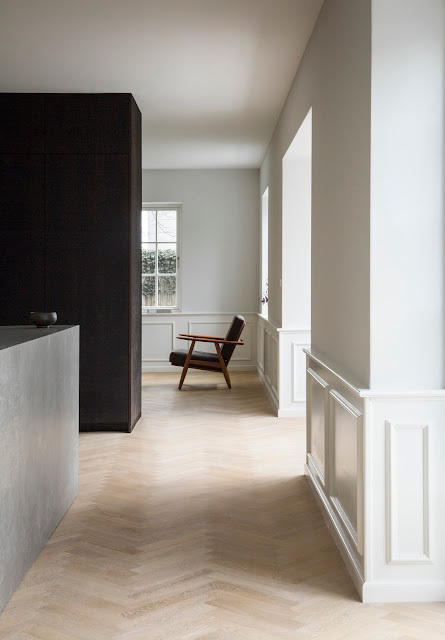 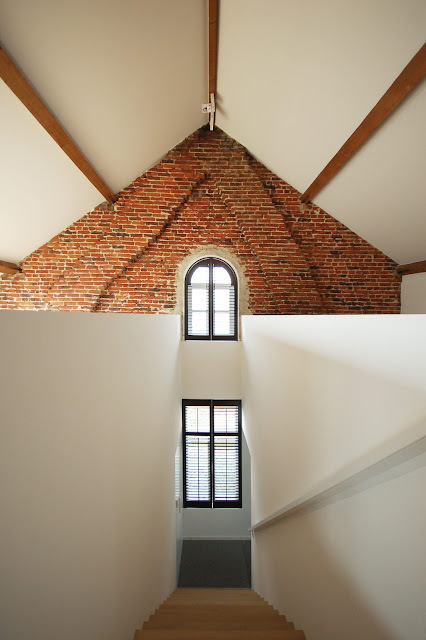 Belgian studio De Meester Vliegen Architecten renovated the top levels of an old pastor house into a new private living area through a minimalist approach that creates a dialogue with the original wooden roof structure. It is the transformation of the old large attic and 1/3 of the first floor of an old pastor house from 1910 in Erpe-Mere (a village in flanders), in total 125 sq.m. 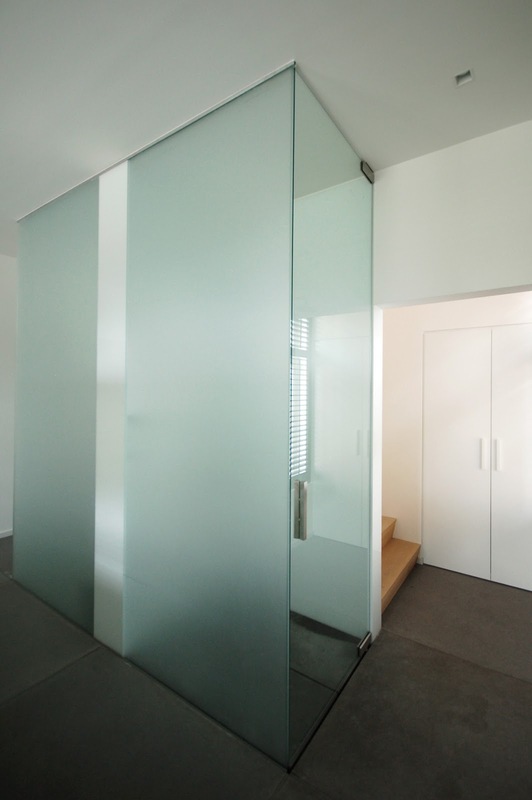 This project reflects the idea of a private apartment for the parents within the context of a large family house. Use of the beautiful, more than one hundred year old, attic constructed with massive traditional woodwork was the starting point for the design. 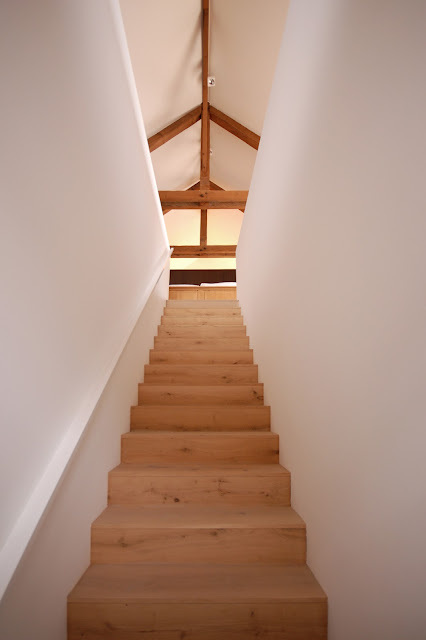 On the first floor 3 rooms were converted into one big bathroom while a new staircase was integrated to directly connect with the attic. 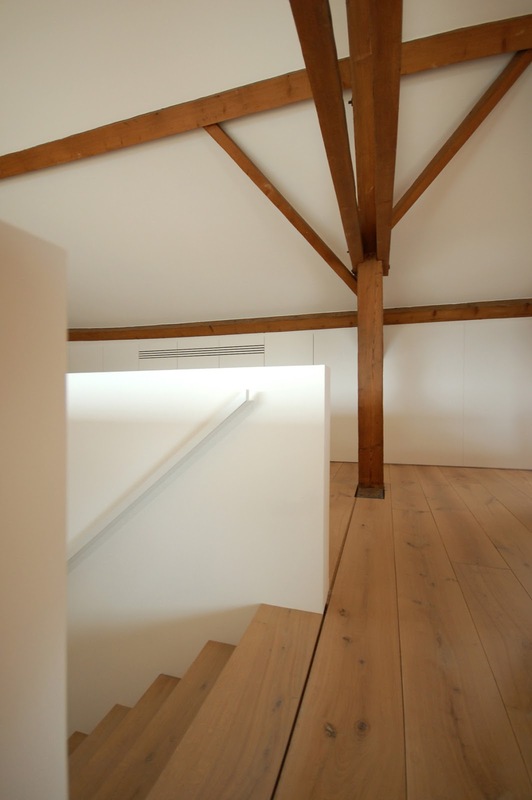 The attic was transformed into dressing/ masterbedroom/ home cinema and private art gallery, creating a fully functional new separated private quarter in the main house for the parents. The "ritual" of going down the new staircase every day towards the old brick wall with beautiful morning sunlight falling in gives the owners a calm start of the day, ending in the sober concrete bathroom. 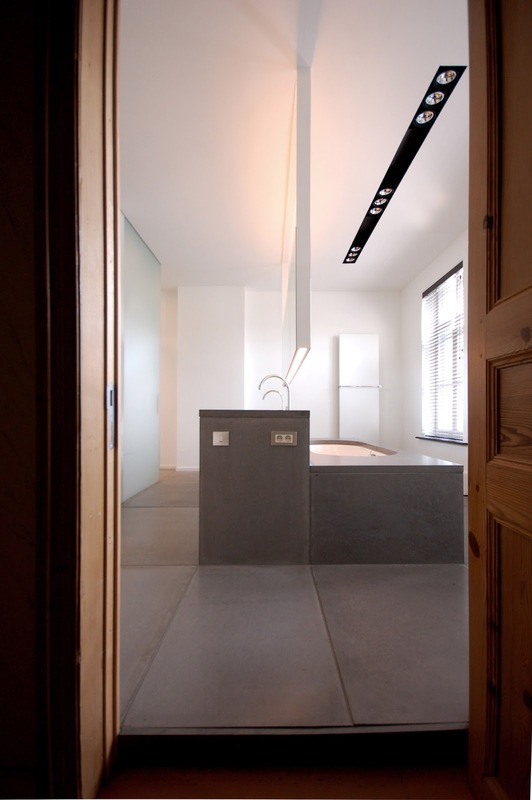 Attic and bathroom are build from different materials, but very similar in atmosphere and detailing. 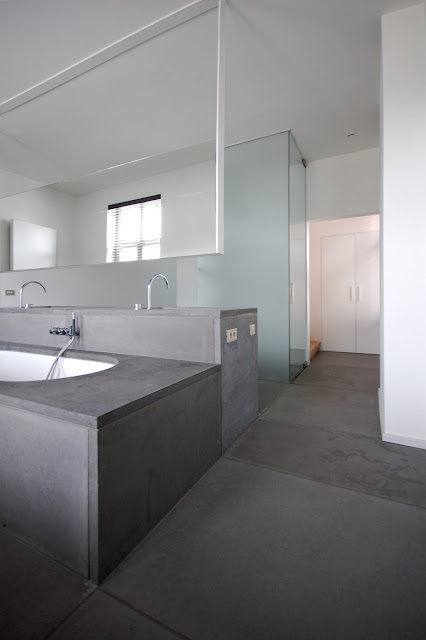 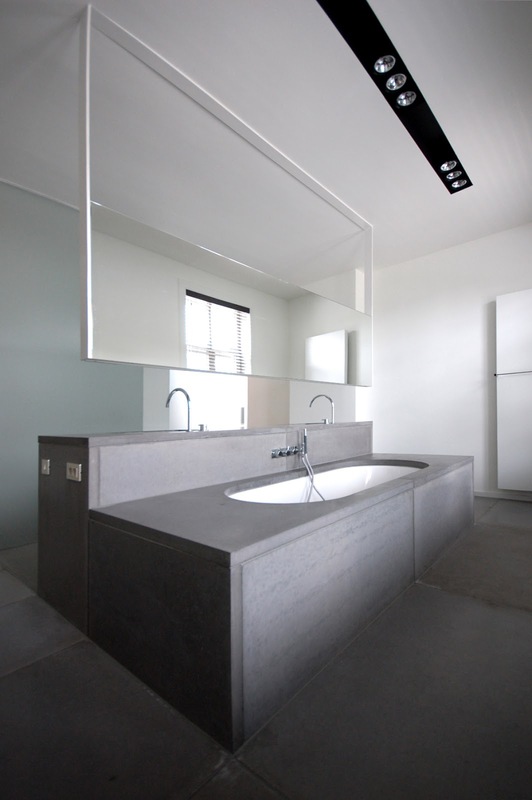 Bathroom is made out of large mid grey prefab concrete slabs, white lacquered glass and mirror & chrome details. 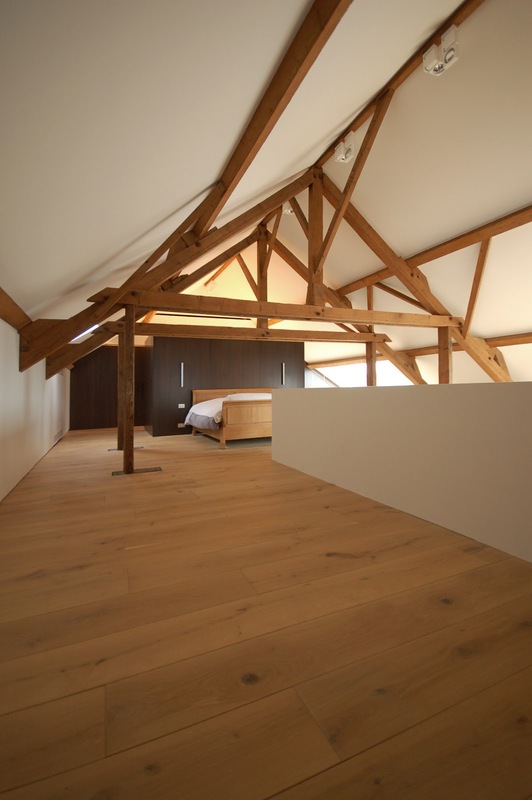 Attic is mainly the restored old oak wooden construction, massive oak floor from Hungary and dressing in dark stained oak veneer. 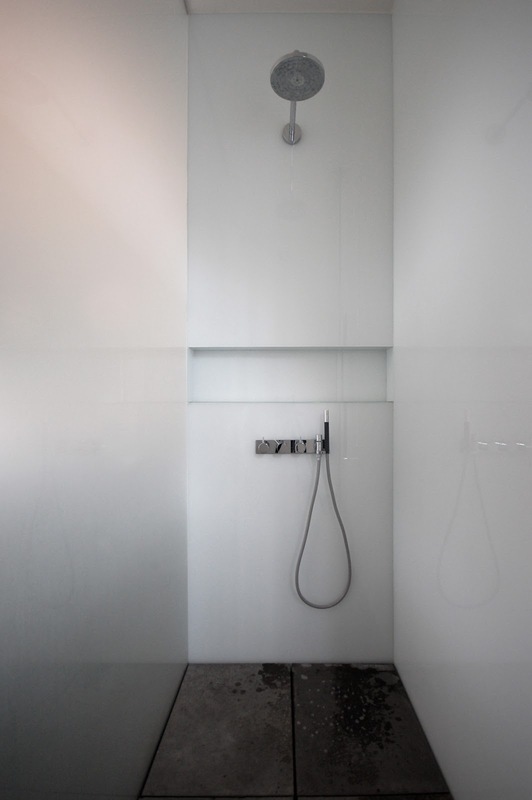 Walls, ceiling and all light elements are white, with integrated concealed lighting being almost invisible.